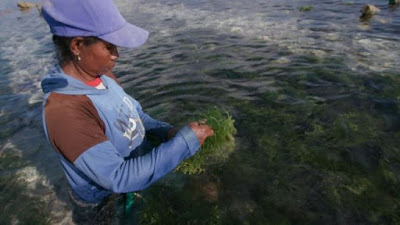 Seaweed production in Indonesia has become the major income not only for the country but also for thousands small Indonesian farmers. Seaweeds have been known for a long time can be used for various things including foods, beauty products, medicines, fertilizers, industries, and so on. It is no doubt that seaweeds are important commodity in aquaculture industry especially in Indonesia as tropical country where there are large seaweed supplies can be found. Most of seaweed farmers usually can be found in Asian countries and that is including Indonesia and you can tell that for years the seaweed export activities have been growing a lot. Seaweed production in Indonesia is a reliable source for income even more than fish. If the condition of the weather is good then the seaweed can be harvested after 45 days and after that dried on tarps in sunlight for around 4 days before delivered to brokers who ship the seaweed for manufacturers who export seaweed products as the part of billion global seaweed industry. 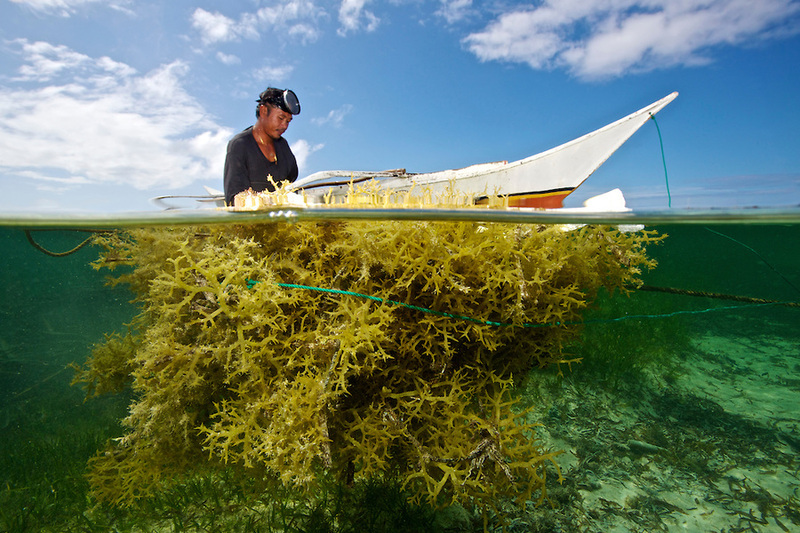 Thanks to the abundance tropical waters in Indonesia, the country has become one of the largest seaweed producers in the world. Not to mention that Indonesia, the maritime country is also has second longest coastal line worldwide meaning that the country has really big potential for successful seaweed production in Indonesia. 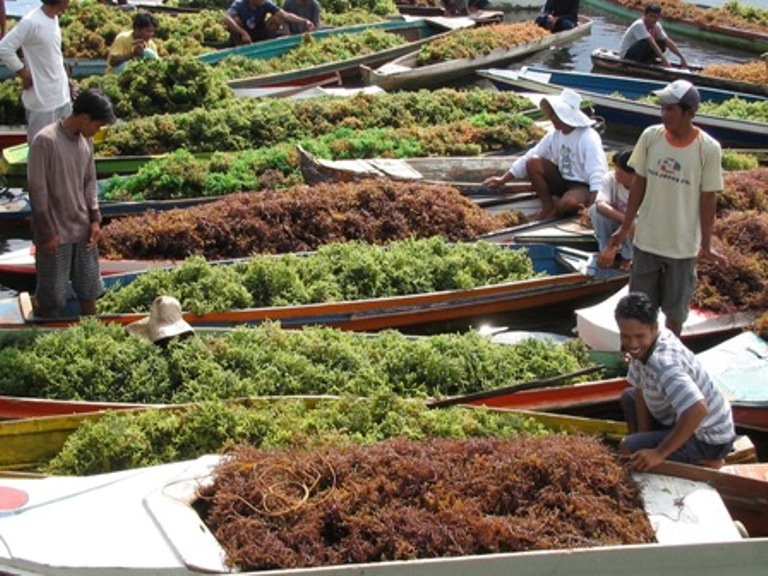 Nowadays, the country has become one of the largest dried seaweed exporters in the world with the annual production and export reaching around 145,000 tons. The main importers of Indonesian seaweed include Asia countries, United States, Europe, Africa and Australia. Besides Indonesia, there are still other Asian countries that export dried seaweed like Thailand and Philippine which contribute significant percents of the total tropical countries export especially for dried seaweed. At the present, seaweeds exported from Indonesia are mostly used for food source and domestic agar-agar manufacturer. There are many wide variety of species exported from Indonesia like carrageenan which highly demanded in the market and that’s why to increase annual production, farming method has been used to cultivate seaweeds. 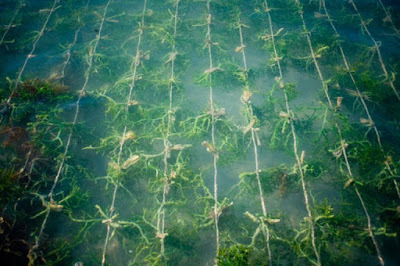 Seaweed farms and production can be found in many islands of Indonesia. One of the problems of seaweed industry found in the market is that the low supply of wild seaweed which cannot meet market demand. In fact, there is low supply of good quality of seaweed and shipment that bring low grade of seaweeds cannot be accepted by International market and in the end sold in low prices. 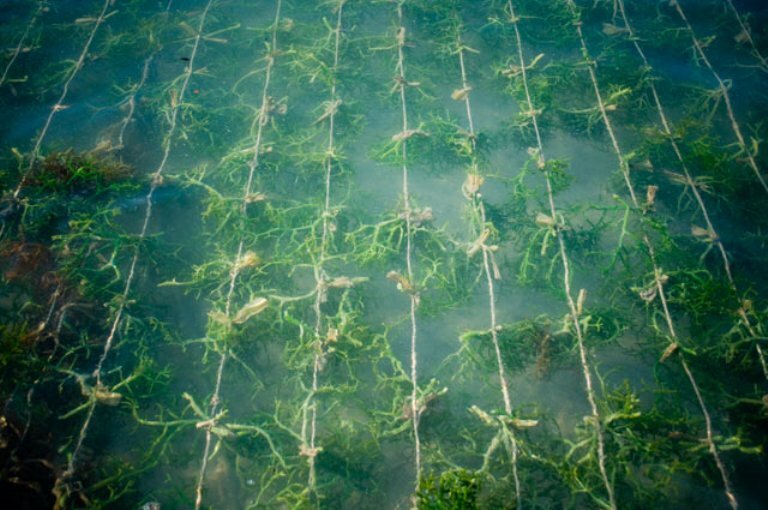 To stop this issue, more modern high tech seaweed farming has been conducted for years. The high tech will help to ensure quality control of the seaweed and thus there is successful seaweed cultivation by seaweed production in Indonesia. Why you should eat seaweeds? Now let’s talk about the important of seaweeds for human body and why this marine product really sold widely in the world. First, seaweeds are used for human food and not just about seafood, but they can be used for various things including agar-agar, ice cream, chocolate milk, pudding, and many more. However, eating seaweed alone and include it as a part of diet is the most recommended since seaweeds contain important nutrition for the body like the minerals, vitamins, and protein. 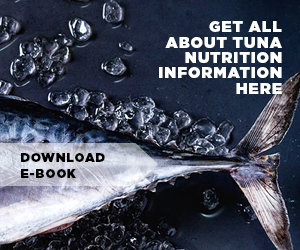 In addition, seaweeds are low in calories and fats so they contribute for weight loss. Seaweed is a super food that produced by seaweed manufacturers in Indonesia. They can be eaten as snacks or to be added into certain recipes or ingredients. 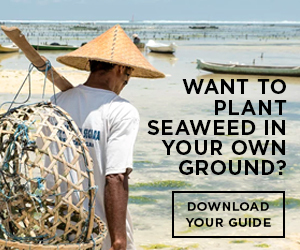 Since seaweed production in Indonesia is really large and productive, it is so easy to find seaweed suppliers which can provide and ship you with high quality of seaweed in the form of raw, pre-cooked, or already made as seaweed products. If you want to find seaweed production in Indonesia that can supply you with enormous seaweeds cultivation then you can contact Indonesian seaweed suppliers now. You can ask for the terms and conditions to deliver and export seaweeds to your locations around the world. Usually if you order for fresh and raw seaweeds, the suppliers will deliver you the seaweeds in frozen state to keep the seaweeds freshness. You can depend on Indonesian suppliers and distributors if you want to get high quality of seaweeds products by seaweed production in Indonesia.